In order to add an additional game element to the K1 server, I propose to create the “1 billion a year turnover” award, as an extra recognition for great players. This award could be displayed in your login, to show that the player has achieved something which is extraordinary. I also think that players could team up to play for the award, for fame and glory – (like Blackhawk and I did. We missed our goal by just a handful of millions.) I have seen brilliant players reach 1 billion, I have personally never reached it. 2. We would also like to see your network (Professional interest), so a screendump of your network (the map) is appreciated, but not required. Do not forget to have fun!!! For extra info: I started out with coal, until that made me 50-60billion a year or so (about 50 trains), all standard 7 tracks long. I hate to start with long trains, dont think that is needed there. After that i made oil line. Important for me is a giant field where i can place 40 boats, i hate little fields where i have to ship by train to one main station so i like to put one giant station right next to it. After that i worked on goods line, now this one makes my most money, i use 4 tracks, for like double the room of trains. Than i went on to make farms to put that grain and livestock to the same hub. 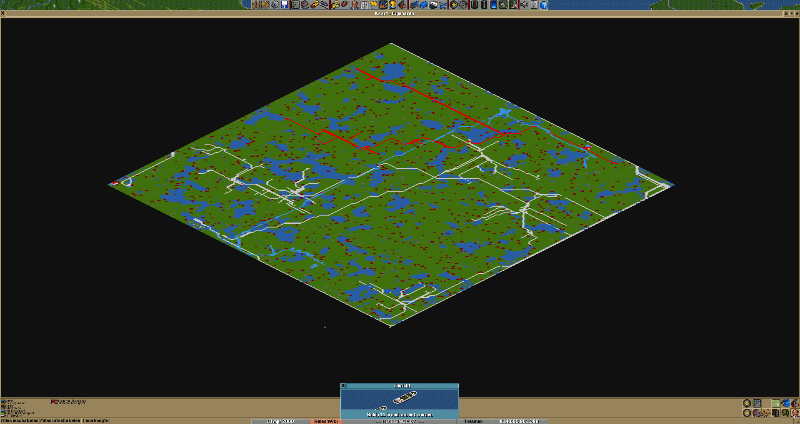 So i made goods from the oil and farms together, like 15k goods per month or so in the end. I cant believe how hard it is to just ping over 1000mil. I`m always stuck at 980/990 no matter what i build or try. I cant believe it. Best try so far now is 993m income. Ok so what i did was fairly simple, i started with coal and made it pretty big. The advantage doing that is you can get early income, After just a few years i already pushed 100+ mils. So once i had like 120 trains distributed over my coal network i made my oil line and goods line and expanded on my coal. After doing all that i was stuck around 700 mills a year or so but when inflation really came it just grew up, till i suddenly had like 1000+. Oh yeah, once i made 800+ i thought it maybe could work and made 2 small farm hubs for a few extra goods but it barely had any effect i think. Most of my money came from coal. Also hit 1023 mil by the time i was 80% to goal or something, fairly early. But my game did not appear to be very fast somehow, i only won in 8 hour 2 minut. I had faster games. Extra thanks to Bahnmeister to keep me company! I wonder if you can repeat it in next games. Good luck! 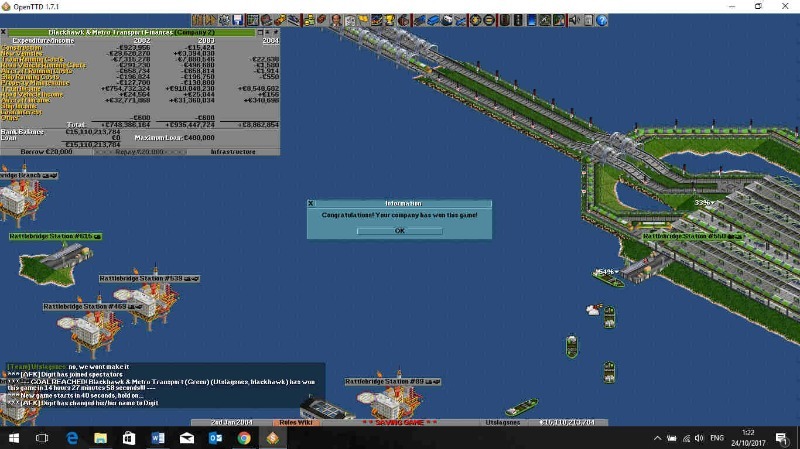 Copyright 2018 K1 Server The 1 billion a year turnover challenge - BTPro - OpenTTD Community.